RISCO’s Agility™ 3 is a feature packed fully wireless intruder alarm system with a host of exciting functionality not usually found in our conservative industry. Using RISCO’s high-security cloud server the system can send email and picture alerts to your smartphone. Using the free RISCO smartphone app or webserver you can control your alarm system from any compatible device such as your mobile phone, tablet, or PC. 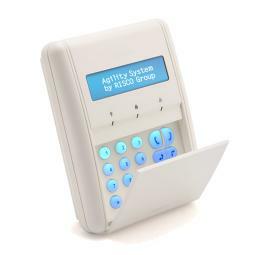 The Agility™ 3 is designed for homes and small businesses that wish to “self monitor” but can also be configured as a Police response system if you so desire or require. Using 2-way wireless technology all the detection devices, sounders, sirens and keypads are fully wireless. The only cabled connection is the mains power. 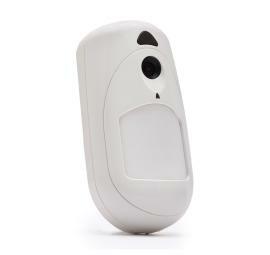 Application and Peripherals – The Agility™ 3 has a range of wireless peripherals to suit the most demanding of applications, to protect against burglary and theft, environmental hazards such as flooding, and ensuring care for the elderly using a special feature that monitors lack of activity in a given area. Systems can comprise: PIR movement detectors, door contacts, vibration detectors, flood detectors, smoke and carbon monoxide detectors, panic buttons, external window beams, remote fobs and PIR camera detectors. As a wireless system the Agility can be installed with literally no fuss to your décor and minimum interruption to your routine as no cables need to be run. Monitoring – You can choose from 3 signalling options: IP, GSM or PSTN. Our most popular system, the IP version, connects directly to your broadband router (usually with a network cable or wireless bridge). If the system triggers you will receive an alert within moments to your smartphone via the app, or to any device you receive email on. If you have a PIR camera attached then you will receive images via the cloud directly to your smartphone. You can also log in yourself to view the camera(s), or set and unset the system directly from the app or webserver. A significant benefit of this system is our ability to remotely access the system via the cloud, to conduct periodic system health checks, make changes to the programming, resolve potential faults and add and delete devices. The cloud connection is fast and immediate, and will save you money by potentially reducing certain engineer visits. The IP module only supports email alerts; not SMS or speech dialler. The GSM option requires a data enabled SIM card. You can supply your own PAYG or contract SIM, or we can provide a competitively priced one sourced by RISCO. The GSM version can send email alerts as well as SMS text messages and speech. The Agility™ 3 can be supplied ready to be used with your standard PSTN telephone connection. With this option however you are limited to using the speech dialler only (or Alarm Receiving Centre services) and you will not be able to receive email alerts, SMS texts or picture messaging in any format. 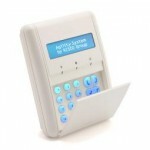 The system can still be controlled remotely via telephone keypads but without the functionality of the app or webserver.